Today brought 4 callers for Fairview Cove, though the last one will have to wait until morning. first to arrive was first time caller PAXI, who took the west end birth. an hour latter, Berlin Bridge arrived taking the east end of Fairview Cove. Paxi is a first time caller to Halifax, and was built in 2014. she is scheduled to sail at 2230 tonight, in order to facilitate the arrival of Atlantic Sun in the West End Birth. Atlantic Sun is scheduled to sail at 0430 tomorrow, making for a very quick stop. Berlin bridge sailed in time for MOL Partners Arrival, though MOL Partners Size precludes calling at the east end birth. She took to Anchor, and will move to the west end birth at 6am after Atlantic Sun Sails. 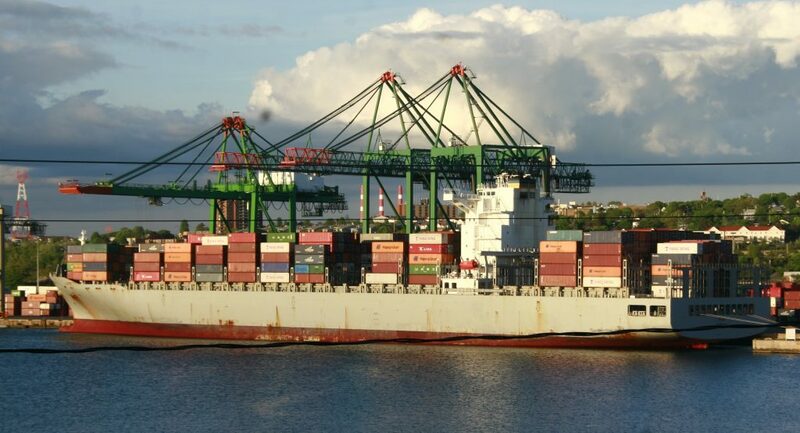 This entry was posted in container ship, MOL, The Alliance on June 1, 2018 by Peter.